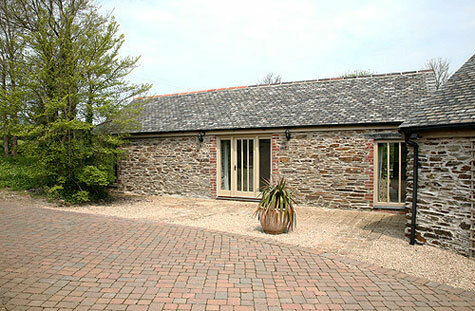 The barn is immaculately presented, light and airy and equipped to give a home from home feeling. 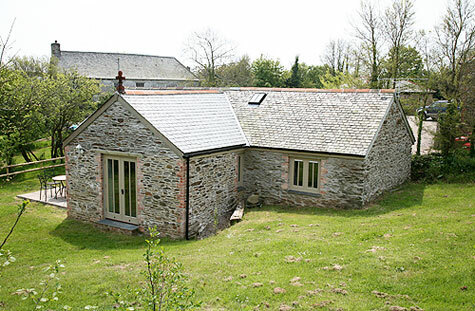 The accommodation is arranged on one ground floor level and comprises a fully equipped kitchen that offers a hob, oven, dishwasher, fridge, microwave and all the usual electrical appliances. The washing machine, tumble drier, ironing board and iron are located in a separate utility area. The open plan lounge is furnished with two sofas providing comfortable seating for six adults and has a stereo, colour TV with Freeview and DVD player. The dining table seats six. Moving out of the living area there are two bedrooms  one double and one twin  which are well furnished with co ordinated soft furnishings and a well appointed bathroom. The twin room opens out on to the garden. 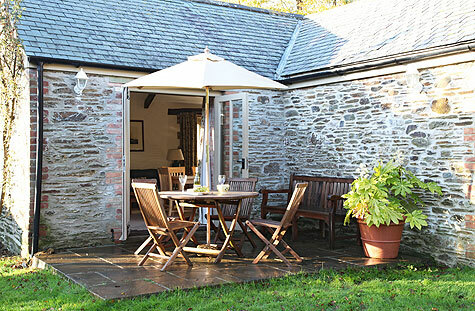 Outside, the barn enjoys its own sheltered and enclosed garden with lawn and patio; garden furniture is provided to enjoy the peace and tranquility throughout the year. Parking available for two cars. Outside there is a sheltered terrace that is accessed via double doors from the sitting room. Garden furniture and sun brolly are included. Orchard Barn offers parking for two cars. 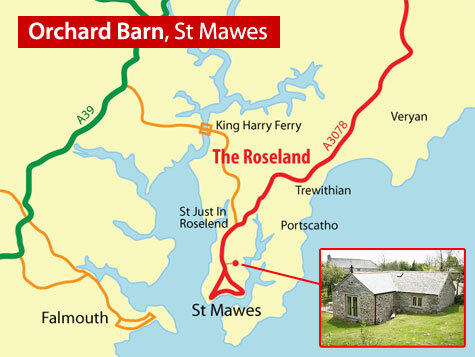 After Tregony continue on the A3078 through Ruan High Lanes, Trewithian and St Just in Roseland. After approximately one and a half miles you will see a water tower 60ft high on the right hand side. Turn down the lane opposite. Orchard Barn is on the left appoximately 100 yards from the road.